A major challenge of working in the digital space is constantly changing technology. Last week, I was surprised by the extinction of a commonplace aspect of internet-connected technology that we all use every day. I was preparing to make planned edits to a website. For security purposes, the website uses IP whitelisting to allow a specific set of IP addresses access to the admin portal, and I was suddenly blocked from login. A quick check of my IP address showed that it had changed. Where was the friendly IP I’d known for so long? I’d never thought it could happen to me, but here I was. I’d been switched to IPv6. Refresher: What is an IP Address? Way back when the internet was formed by mysterious forces in the universe, Internet Protocol (IP) was adopted as the international means of communication between devices. Every computer, smartphone, tablet, printer, network, smart watch, and smart toaster uses IP addresses to find each other. 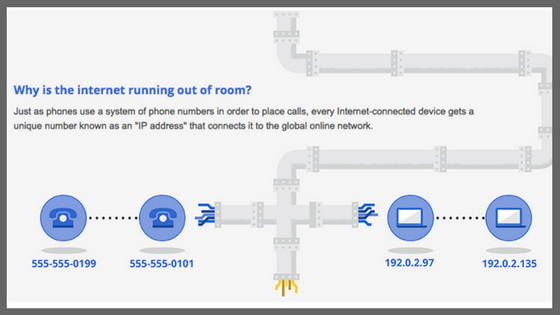 For comparison, IP addresses are to computers like phone numbers are to phones. Each phone has a unique number that other phones use to identify it. Each of our devices have unique IP addresses that other devices use to identify them. Why Are IP Addresses Changing? As Vint Cerf, chief internet evangelist at Google, explains, the internet is running out of room. The familiar IP addresses are a specific version of IP: IPv4. IPv4 addresses were rolled out when the internet as we know it now was young. At the time of adoption, there were 4.2 billion IPv4 addresses available. The quick pace at which the number of internet-connected devices has grown has depleted the number of available IPv4 addresses. Fortunately, those responsible for maintaining internet standards recognized the limit of IPv4 years ago. A new standard for IP, IPv6, increases the number of IP addresses available. The version creates 2^128 IP addresses, or around 340 trillion, trillion, trillion available addresses. 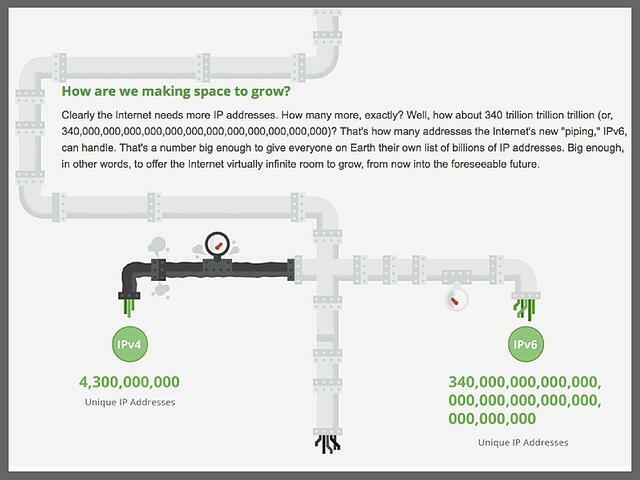 IPv6 should allow the internet to continue to grow unrestricted for the foreseeable future. How Will I Know If/When My IP Address Changes? Well, you may already have an IPv6 address. Internet Service Providers (ISPs) made a commitment in 2012 at the World IPv6 Launch to start the switch from IPv4 to IPv6. Since then, major ISPs have been slowly transitioning networks to the new standard. Google collects information on the use of IPv6 among its users and has estimated that just under 20 percent of global internet users have adopted IPv6 as of July 15, 2017. To determine when your IP address may change or if it already has, start by determining your current IP address. You can do this by searching “what is my IP address” or using free tools like WhatIsMyIP.com. Then, compare the returned address to the examples below. If you have an IPv4 address, you may want to contact your ISP to determine if and when your IP will be transitioned to IPv6. Some providers have deployment plans accessible from their support websites. Additionally, include a regular check in your monthly marketing report to watch for the change. What Should I Do If My IP Address Changes? Digital marketing tools rely on IP addresses to identify devices for a variety of reasons. For example, analytics tools use IP addresses to exclude internal traffic from reports. But not really. By intention, IPv6 is being rolled out slowly. Successful adoption of IPv6 by the entire internet community requires that all networks, including routers, servers, and other devices, are able to understand IPv6 addresses. Since there is a whole lot of hardware out there, most ISPs have implemented a dual stack approach. In other words, most networks will continue to understand both IPv4 and IPv6 addresses so that no one device is left stranded without internet access. 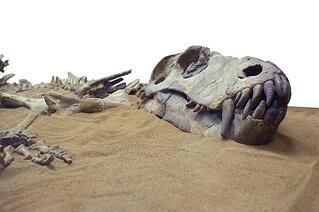 These IPv4 dinosaurs aren’t extinct yet. Keep up with the latest digital marketing fun facts and the occasional puppy pic by subscribing to the Marsden Marketing Blog.